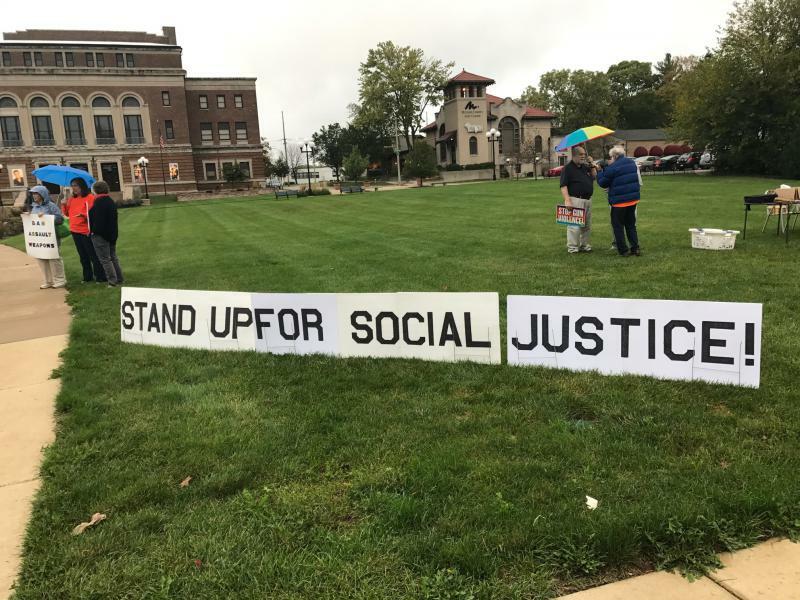 Stand Up For Social Justice group holds a rally Wednesday, Oct. 11, 2017, in downtown Bloomington. A local progressive group says it’s strange that some lawmakers are supporting bills aiming to weaken gun regulations in the wake of the Las Vegas massacre. 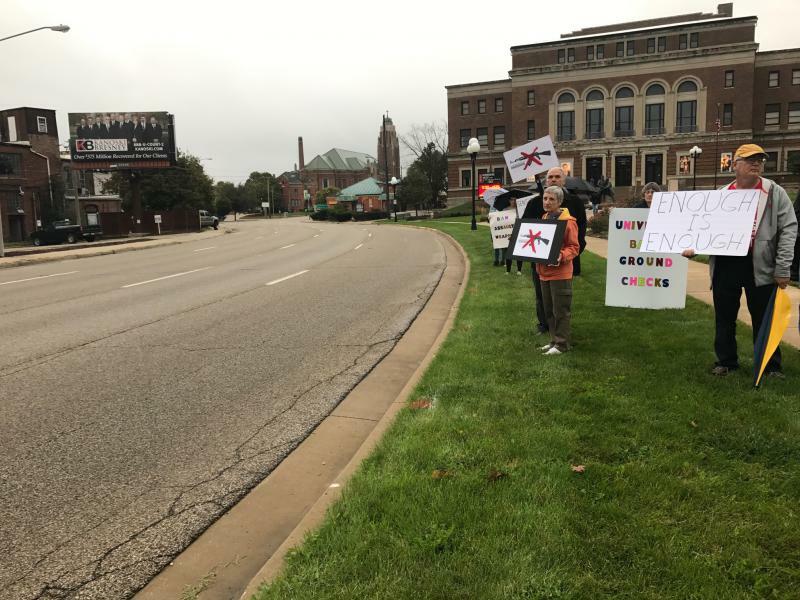 The Stand Up for Social Justice group held a rally Wednesday in downtown Bloomington voicing their support for gun control legislation. The group discussed legislation on both the federal and state level involving gun regulations. One bill the group favors is the Illinois Gun Dealer Licensing Act, which passed the Illinois Senate in April but has stalled in the House. Randy Roller of Moms Demand Action said Wednesday that it’s time for the state to enact sensible legislation to require licenses that many other professions have. Opponents of the bill argue that gun dealers are already regulated at the federal level. “I guess the irony is you have to have a license to paint nails, cut hair, practice medicine, and be a dentist, but we don’t license gun dealers,” said Roller. Roller said his group has reached out to state legislators for their support before the veto session at the end of October. The group also voiced concerns over a different bill that could change the way concealed weapons are carried in Illinois. The Concealed Carry Reciprocity (CCR) Act aims to allow gun owners to travel between states without following local concealed carry laws, such as permitting requirements. Roller told demonstrators the federal bill is a danger to Illinois. 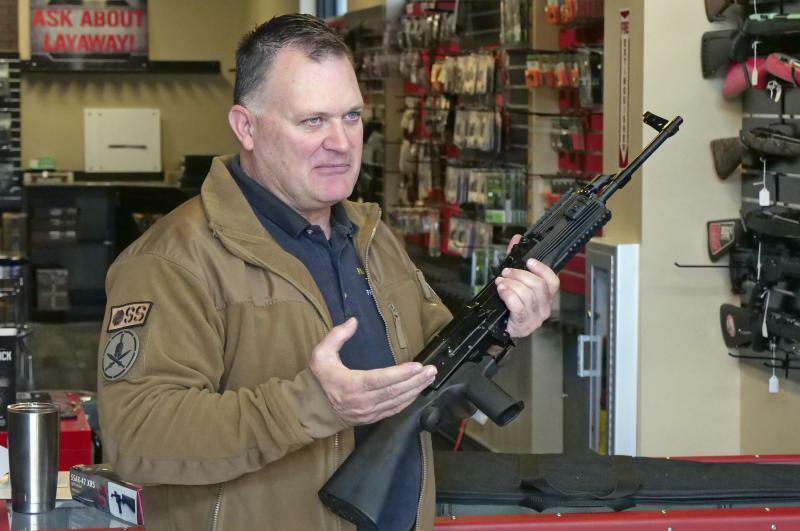 “We have good gun laws in Illinois but if CCR passes it means that anyone who can get a CCR permit in their state will have CCR privileges here,” said Roller. 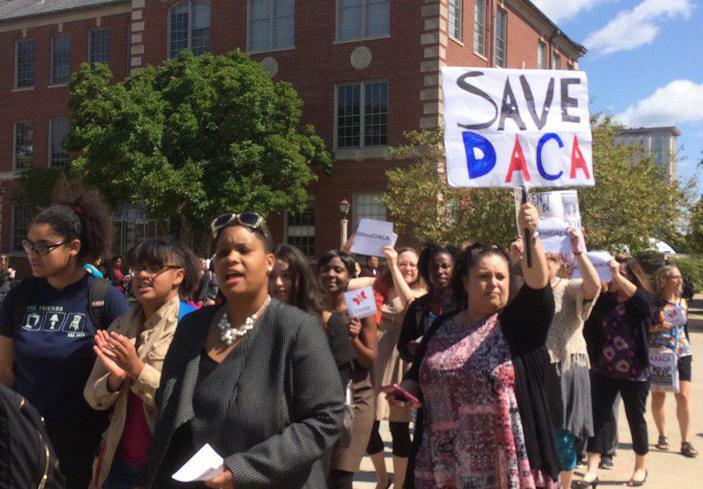 U.S. Reps. Rodney Davis, R-Taylorville, and Darin LaHood, R-Peoria, are both co-sponsors of the bill, now pending in Congress. LaHood touts his strong support for the Second Amendment and his own status as a Illinois Firearm Owner Identification (FOID) card holder. Davis has previously been endorsed by the NRA, though he recently signed a letter asking the ATF to review the law regarding bump-stock technology that was reportedly used in the Vegas shooting to dramatically increase the shooter’s discharge rate. Davis was also present in June when a gunman opened fire at a Congressional baseball team practice. 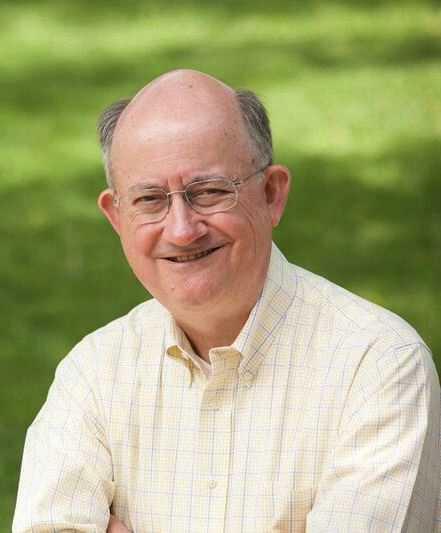 A Eureka College history professor who was handily defeated by incumbent U.S. Rep. Darin LaHood in 2016 is planning another run next year as a Democrat in the 18th Congressional District.